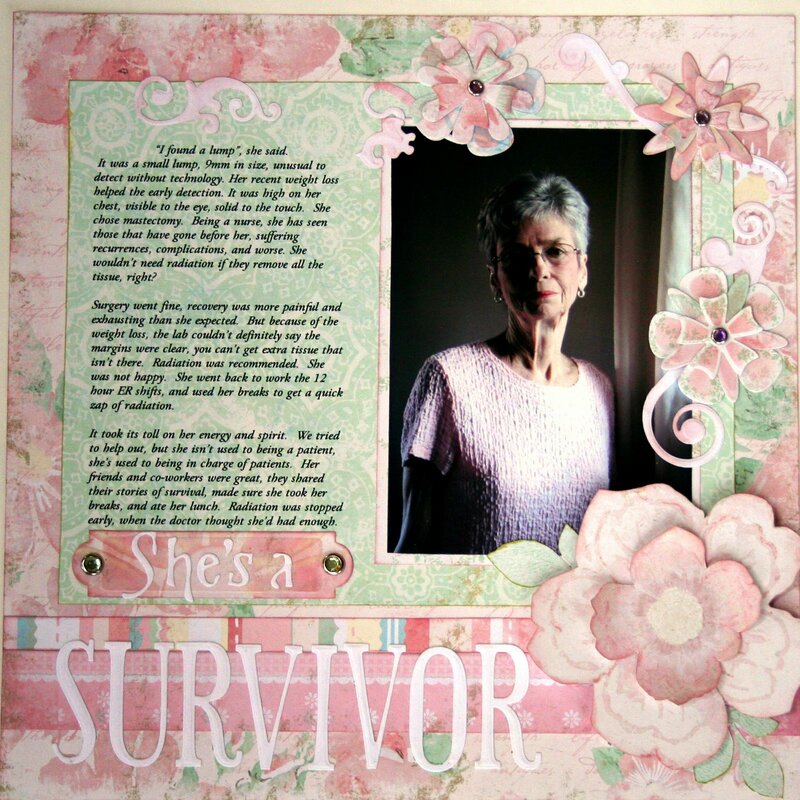 This layout was done for Spellbinders’ consumer booth, showcasing the Melissa Frances Breast Cancer papers. It traveled the country last year, on display at many CKCs and expos. The Survivor is my mom. I’m so glad she is a survivor, and I’m pretty sure she is too. I love you, Mom! This entry was posted in Spellbinders and tagged Mom, Spellbinders. Bookmark the permalink. Beth, this layout is absolutely beautiful! Thanks for your congrats! I’m so honored to work with Spellbinders! Smiles to you! Your layout is BEAUTIFUL!! Gorgeous design and colors!